"Alice Kehoe is often deliberately provocative, and this may be her most polemical publication. Do not be put off; though parts of the book are difficult, it is well worth reading… Archaeologists will want to investigate their backyards with this book. - American Anthropologist, Vol. 102, No. 3, September 2000." "A courageous, superbly written book! …[A]n absolute must for every interested person who would like to assess the degree of reliability, of that scenario of the prehistory of the Americas, with hich we have been infoctrinated… Such a comprehensive qualification or competence, and outlook, has today become rare, indeed, within the ranks of our Establishments, professors not expected. - Migration & Diffusion, Vol. 1, Issue No. 4, 2000." 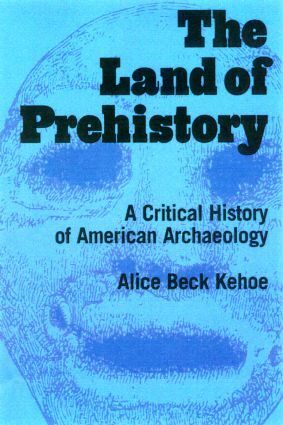 Alice Beck Kehoe is Professor of Anthropology at Marquette University. She is the author of Humans: An Introduction to Four-Field Anthropology (1998), published by Routledge. She has served the Society for American Archaeology as Public Relations Committee Chair and on its Public Education Task Force, and was nominated for President, Archaeology Division of the American Anthropological Association.